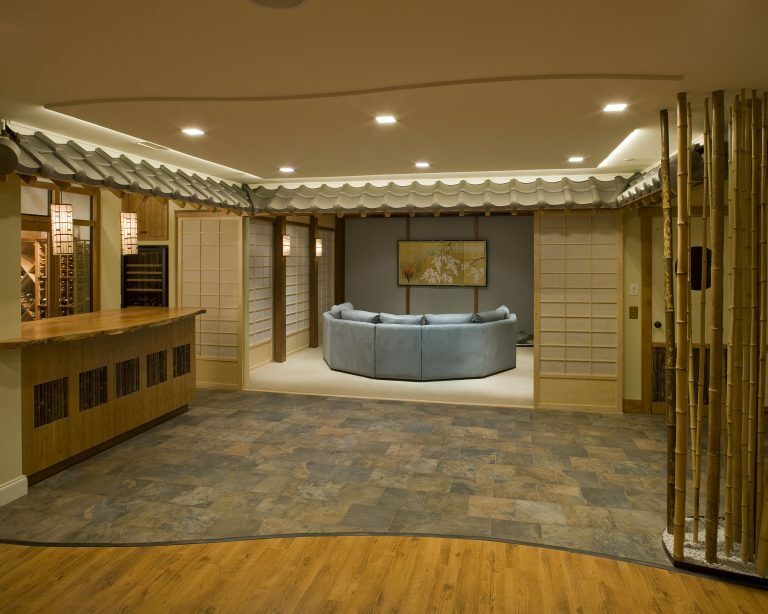 Our Asian themed home theater, bar, and wine cellar was part of an entire basement remodel. 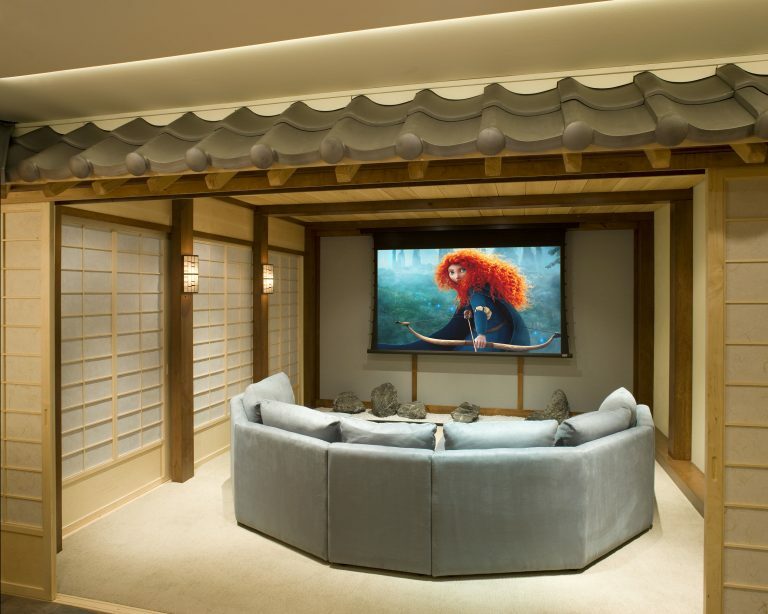 The electronics for the theater include a 110″ motorized screen, high definition video projection system and 7 channel surround sound system and were supplied and installed by the Electronics Integration department at Media Rooms Inc. All speakers and electronic components are hidden. 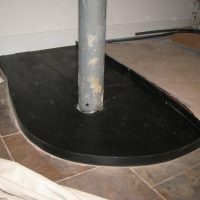 The roof tiles were imported from Japan. 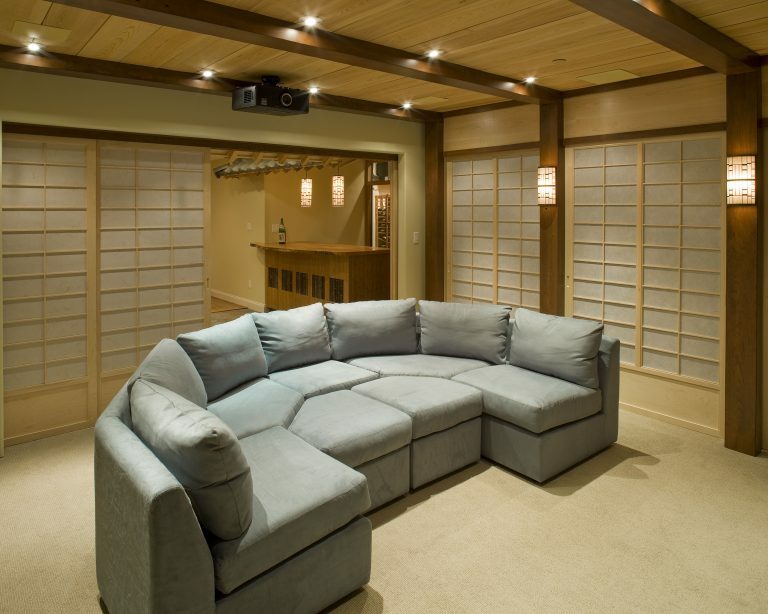 Media Rooms supplied the custom fabricated sofa designed to fit the viewing area. 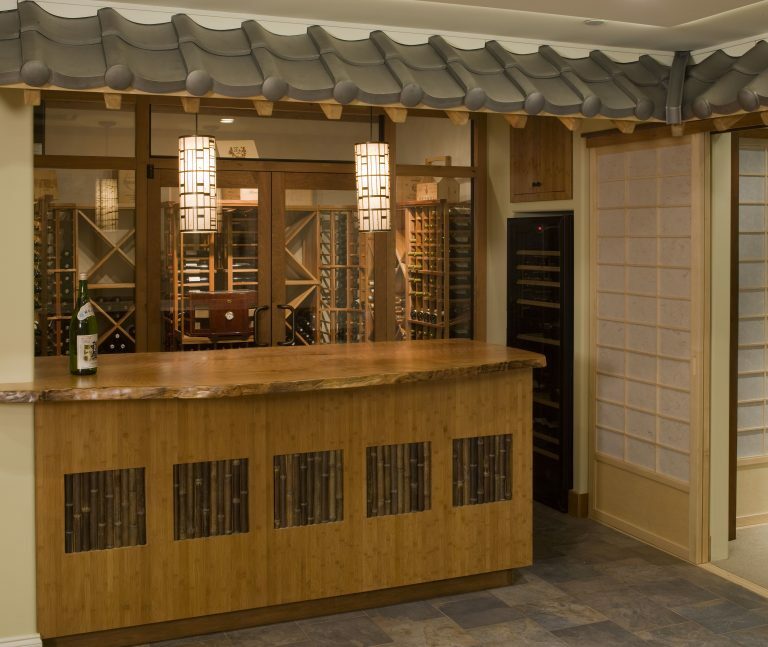 All cabinetry and millwork were designed and fabricated in the In-House Cabinet shop of Media Rooms Inc. Other features of this project include a temperature controlled wine cellar, a custom built bar, natural cherry slab table, and a bamboo garden area which were also designed & fabricated at Media Rooms Inc.
Commercial entry doors were used because there is no traditional framing required and the large glass panels allow the wine racks to be clearly visible. 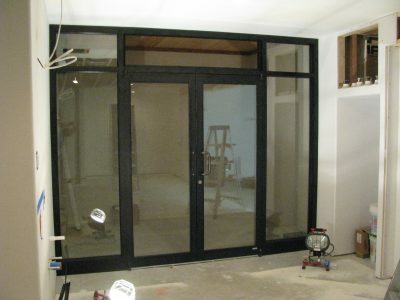 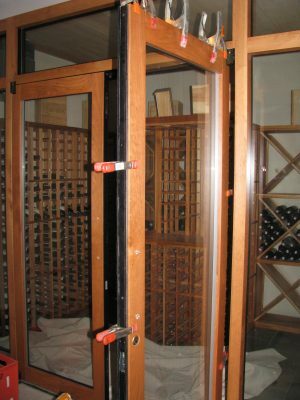 In order to eliminate the commercial appearance, solid cherry wood trim was applied to the aluminum frame. 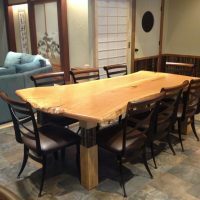 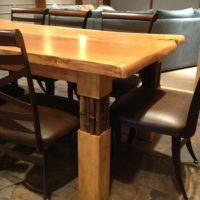 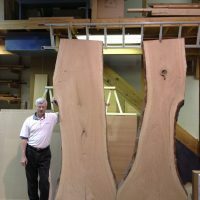 Media Rooms created this custom dining table to match the cherry slab bamboo bar. 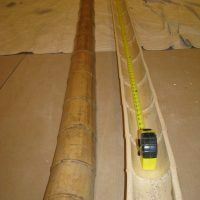 Bamboo was split in half and wrapped around the lally column. 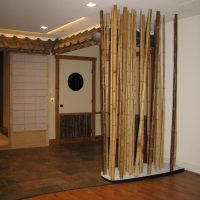 Dozens of bamboo pieces were installed and small rocks added to the base.